Diet is one of the most powerful tools for the health of our gut and digestive system. If you’re trying to address leaky gut and microbiome, these are the 10 worst foods for your gut health. Think of your gut as a control centre. To make it more interesting, imagine the gut as the hub of your very own space ship. You can control everything from there, but you know it takes a required amount of training, practice, and otherwise clear conditions to blast off safely to your destination. Now, imagine that you had to feed each control actual food for it to function. When you feed it a healthy diet over a long period of time, your hovercraft breaks down less, functions normally, experiences less turbulence, and lasts for years and years – perhaps, even decades. This is kind of how the microbiome works. Considering gut health can be linked to a few major factors – genetics, environment, diet, chronic stress, and toxic load – we know how we can work to heal it. Fortunately, cleaning up the diet is one of the easiest ways to address symptoms of leaky gut and sustain a healthy gut over the long-term. In addition to proper stress management and a good probiotic supplement, eliminating foods that elicit a pro-inflammatory response and cause gut damage can restore good bacteria and repair the intestinal lining that causes leaky gut. We’re not here to demonize gluten today. In recent years, it’s gotten a pretty bad reputation all-around, and while part of this was likely inspired by a legitimate rise in Coeliac disease, the media is quick to label foods either ‘good’ or ‘bad,’ and everyone catches up. In this case, though, feeling sensitive to gluten despite not having an allergy to it could actually be an issue in the gut. You don’t even have to be gluten-sensitive to suffer negative side effects from consumption. A research sample displayed groups eating gluten for one week experiencing increased stomach pains and bloating, though there was no significant impact on the intestinal permeability (otherwise, the integrity of the gut) (1). It’s also important to look at the way in which gluten might be interacting with people who have autoimmune disease. We know an immune response and intolerances can be caused by the foreign toxins or antigens trafficking through the body via the zonulin-dependent pathway, plus through activation via the gut bacteria and gluten interactions (2). This leads us to believe that these functions are likely involved in the development of inflammation and autoimmune processes, which gives us a clear way to treat it: by down-regulating the zonulin pathway (which includes eliminating gluten), we can potentially begin to re-establish the intestinal barrier. With the rise of gluten-free products, we see more and more grains being utilised as a healthy alternative to the whole wheat craze and white bread. While these grains are not inherently bad, they do present a problem with the gut. Foods like teff, oatmeal, quinoa, and buckwheat still contain anti-nutrients such as lectins, saponins and phytic acid, which are rather difficult for the body to digest. Excessive consumption can also impact the gut by reducing the activity of a variety of digestive enzymes, which we need to function efficiently for good gut health. In one study done on rats, they looked at the influence of oat saponins on rats, and found that it could affect the permeability of the intestines (3). With this, we know that people who suffer from leaky gut should be avoiding all grains – particularly in the beginning stages. When the gut is on its way to healing properly, it’s okay to reintroduce gluten-free grains after soaking and sprouting them, which reduces phytic acid content and breaks down some of the other compounds, making them easier to digest. In this day and age, we know one thing for sure about nutrition: sugar isn’t doing us any favors. It’s especially not helping the gut. Sugar provides fuel to yeast in the gut which helps it to feed, overpopulate, and crowd out the good bacteria a healthy gut thrives on. As a result, we see things like SIBO (small intestinal bacteria overgrowth), Candida, and bacterial dysbiosis pop up because they’re related to sugar consumption and prone to increasing intestinal permeability. Now, you’re not off the hook yet. Artificial sweeteners are just as bad, despite not feeding yeast or directly impacting blood glucose levels. A study done on mice shows that artificial sweetener consumption could exacerbate glucose intolerance – the body’s inability to utilize sugar – and this seems to be microbiome-related (4). Additional research done on humans analyzed artificial sweetener consumption’s interaction between microbiome composition and metabolic outcomes which are associated with BMI, blood pressure, and fasting glucose levels. Now for the double-edged sword; the results conclude that the composition of the gut may be indicative of an individual’s response to those artificial sweeteners. From that, we can infer that someone who has leaky gut already should cut these out completely, as permeability impacts our ability to handle certain food compounds. This also affirms the notion that leaky gut treatment should be highly focused on the individual’s needs – not a one-size-fits-all approach. Ah. Yet another food that isn’t doing our health any favors, especially with all the alternative options we have instead! Refined, high oleic oils derived from vegetable sources such as sunflower, safflower, canola, corn, and soybean oil are a disaster for the gut. They’re a source of pro-inflammatory omega-6 fatty acids, and when we’re taking in enough of those, we drive up the ratio of omega-3s to omega-6s a lot. The average person following the Standard American Diet already has a ratio of 1:10 and even 1:15, when we’re aiming for more of a 1:1 to 1:2 balance. Yikes! Swapping refined oils for coconut oil or avocado oil can reduce systemic inflammation and damage to the intestinal lining. The polyunsaturated fats in olive oil, for example, can reverse some of the inflammatory effects of the polyunsaturated fatty acids from refined vegetable oils (5). Avoid fried foods, and if you’re still cooking with canola oil, consider making the swap. When you consume loads of refined oils alongside a diet high in carbohydrates (markers of SAD), you reduce gut biodiversity. The key to a healthy gut is having a wide variety of bacteria present, so using healthy oils will promote diversity. Your gut will thank you! We hate to knock on dairy because, y’know… cheese is good. And no – it’s not always bad for us. We do know it’s one of the most addictive foods, though, which causes us to over-consume it. We also know that not all dairy is created equal; many dairy products are highly processed and pasteurized, and don’t even get us into the low-fat dairy fad. One of the worst parts of conventional dairy products is the potential presence of antibiotics. This also goes for conventional meat, but we’ll get to that later. You know how probiotics are good for the gut? Well, antibiotics do the opposite and deplete those good bacteria stores while they clear out the bad stuff. They just don’t discriminate, and taking small doses of them in every day is the gut’s worst nightmare. Moreover, dairy can elicit an immune response in some. You might notice congestion, digestive issues, or breakouts after eating poor quality dairy, dairy in excess, or consumption of dairy while lactose-intolerant. These responses are very clearly traced to the gut like most immune responses by causing inflammation. A good alternative that will actually do your gut some good is raw, unpasteurized, fermented dairy. A good quality, full-fat, organic yoghurt is chock full of good-for-the-gut bacteria. Culturing your own cheeses at home will give you similar benefits. Kefir is also a nice choice, and simple to make at home. You can make all of these cultured foods without dairy, too, in case you’re on an elimination protocol specifically for gut healing, in which case, you want to avoid milk products. With dairy, it’s all about quality of the product and deciding whether or not your gut is ready for dairy. If you’re following a paleo/real food diet, you likely already know why soy is an inferior source or protein. It’s often a GMO product and presents a few other issues, but today, we’re focusing on why it might be bad for the gut. For years now, it’s been touted as a health food – particularly as a dairy alternative – but we want to break this down a little. Turns out, it could be impacting the gut bacteria quite a bit. One study done on fish showed that soy significantly decreased the presence of lactobacillus and bifidobacteria – two very important types of bacteria that call our gut home (6). Soy won’t actually decrease the amount of bacteria in the gut; it just changes the composition of the bacteria in negative ways. Like with dairy, soy is best consumed with both quality and quantity in mind. Fermented soy products like miso, natto, and tempeh have beneficial bacteria and they taste good! It’s also important not to rely on soy as your primary source of protein for optimal gut health and overall health. Red meat boasts some of the same issues with our other foods on the list. Like with refined oils, conventional meat contains an unbalanced ratio of omega-6 fatty acids to omega-3s, and like with cheese, many animals are injected with antibiotics which make their way into our food. We’re all familiar with the controversy regarding both red and processed meats on heart health. How do they impact the microbiome? Well, it’s all linked to the heart. When Hippocrates said, “All disease begins in the gut,” he wasn’t exaggerating. Our microbiota may be linked to cardiovascular disease, and that explains the link between heart disease and red meat; a compound found in red meat called l-carnitine alters microbial composition, and increases risk of atherosclerosis (7). In order to avoid this, limit red meat consumption to a few times per week, instead relying on wild-caught fish and pastured poultry for most protein. When you do indulge in red meat, choose unprocessed meats sourced from grass-fed cows which improves the nutritional value of the food immensely. We can’t say whether or not you bypass its impact on the gut definitively, but it’s a much safer bet in terms of fatty acid balance and avoiding added hormones/antibiotics. To continue on the topic of quality, fish really matters. First, we have to worry about antibiotics and growth hormone that could pass on over to us through our food. Next, we have to worry about mercury. While there is plenty of fish you can eat three times per week to keep your fatty acid balance healthy without worrying about mercury, farmed fish is more likely to contain higher levels. It’s worth noting that farmed fish and wild-caught fish have differences in the nutrient profile, and conversely, wild-caught fish is great for the gut. Eating seafood regularly can keep us in fantastic health, providing us with hard-to-get vitamins like vitamin D and healthy fats. Make sure to source sustainable fish and reduce mercury intake by choosing fish with low mercury content such as salmon, bass, oysters, scallops, shrimp, lobster, halibut, cod, and trout. Mercury poisoning is a surefire recipe for leaky gut, so don’t overdo it on mackerel, albacore tuna, yellowfin tuna, and grouper. Now, we’re simply getting into the nitty gritty of things. Animal products are not inherently bad for the gut. In fact, they provide tons of benefits we need… if they’re from a good source. 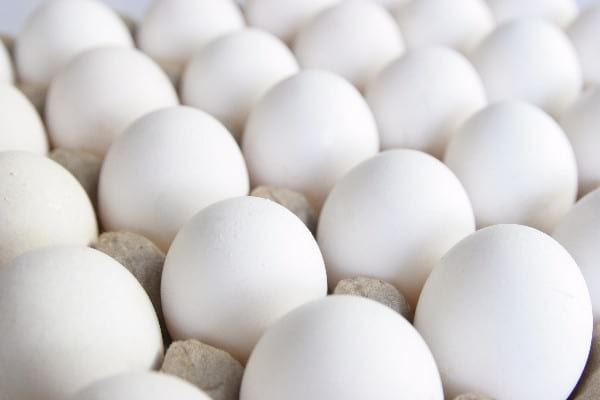 Eggs are another controversial food, because it’s only recently been revealed that they aren’t driving up cholesterol levels. And yes – you SHOULD be eating the yolk! The problem is the source, and moreover, ambiguous and confusing labelling. In this case, it’s once again a matter of inflammatory response from omega-6 fatty acids in addition to the use of antibiotics in the chickens who produce the eggs. When looking for eggs at the super market, seek out pastured or pasture-raised eggs – not free range. A “free range” egg doesn’t mean much, considering the standards to toss that on your label are pretty sub-par, and in reality, the chickens may just have a few feet to roam. Eggs from pasture-raised chickens are one of the most nutritious foods on the planet, boasting plenty of health benefits for your gut and your entire body. Okay, last but not least, we’re suggesting you filter your water for the good of your gut. Hydration is crucial to being in the best health you can be in, so do it the right way! Many areas don’t have great water quality in the first place, and you can’t always trust the tap. The stuff that’s coming from it could be treated with chemicals, hold traces of antibiotics, and contain chlorine which has proven negative consequences for the gut. Think about how chlorine acts in a pool. Anything that’s removing bad bacteria is taking the good stuff along with it because chemicals do their job, but they just aren’t all that smart. Check out more reasons why you should start using a water filter at home. We hope you enjoyed this second installment in the gut series! By fixing up our diet and being mindful of the foods we consume, we can really work to make our guts happy, healthy, in-tact, and full of the good bacteria it thrives on, so we hope you learnt something new here today. 1. Biesiekierski, J R, et al. “Gluten Causes Gastrointestinal Symptoms in Subjects without Celiac Disease: a Double-Blind Randomized Placebo-Controlled Trial.” The American Journal of Gastroenterology., U.S. National Library of Medicine, Mar. 2011, www.ncbi.nlm.nih.gov/pubmed/21224837. 2. Fasano, Alessio. “Zonulin, Regulation of Tight Junctions, and Autoimmune Diseases.” Annals of the New York Academy of Sciences, U.S. National Library of Medicine, July 2012, www.ncbi.nlm.nih.gov/pmc/articles/PMC3384703/. 3. Önning, Gunilla, et al. “Influence of Oat Saponins on Intestinal Permeability in Vitro and in Vivo in the Rat | British Journal of Nutrition.” Cambridge Core, Cambridge University Press, 1 Mar. 2007, www.cambridge.org/core/journals/british-journal-of-nutrition/article/influence-of-oat-saponins-on-intestinal-permeability-in-vitro-and-in-vivo-in-the-rat/F3F2F8ED34358629785107BC81E99E90. 4. Suez, Jotham, et al. “Non-Caloric Artificial Sweeteners and the Microbiome: Findings and Challenges.” Gut Microbes, Taylor & Francis, 1 Apr. 2015, www.ncbi.nlm.nih.gov/pmc/articles/PMC4615743/. 5. Lam, Yan Y., et al. “Increased Gut Permeability and Microbiota Change Associate with Mesenteric Fat Inflammation and Metabolic Dysfunction in Diet-Induced Obese Mice.”PLOS ONE, Public Library of Science, 10 Jan. 2017, www.plosone.org/article/info%3Adoi%2F10.1371%2Fjournal.pone.0034233. 6. Gill, India R. “The Impact of Dietary Soy on Gut Microbiome.” The FASEB Journal, Elon University, 1 Apr. 2016, www.fasebj.org/content/30/1_Supplement/1258.2.short. 7. Koeth, Robert A, and Zeneng Wang. “Intestinal Microbiota Metabolism of L-Carnitine, a Nutrient in Red Meat, Promotes Atherosclerosis.” Nature Medicine, pp. 576–585., www.nature.com/nm/journal/v19/n5/full/nm.3145.html?foxtrotcallback=true.